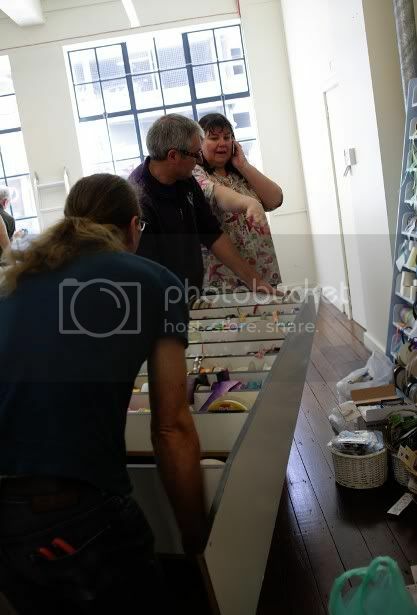 Mrs C has made a huge life change in quitting her public service job and buying the craft shop on Marion St, formerly known as Golding's Handcrafts, henceforth to called Made on Marion. She took possession today, and called on friends and family to help clean and move things around, as she is clearing a space in which to hold classes and workshops as well as an open crafting evening on Wednesdays. 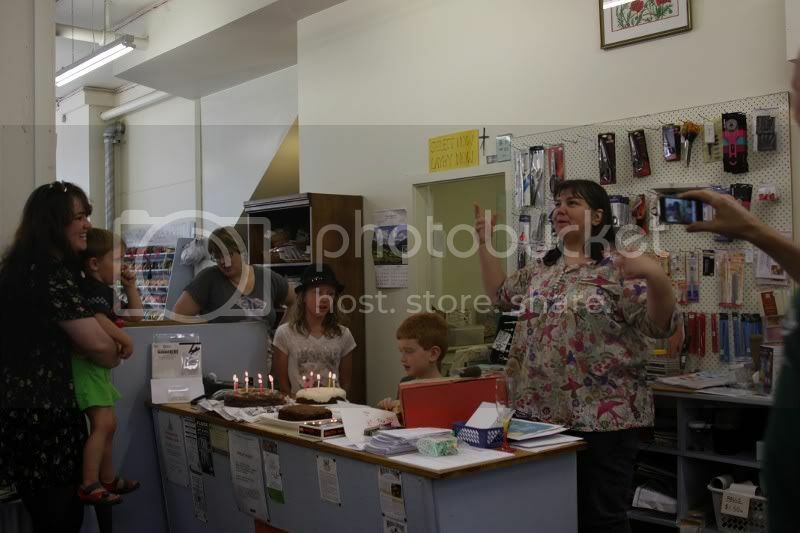 Today also happened to be her birthday, hence cake, although we had technical difficulties with the candles. Apparently no one in her circle is a smoker, so we had to improvise using a toaster and a twist of newspaper to get the first one lit. The grand opening of Made on Marion is planned for the 10th of April, for all of your sewing, cake decorating, spinning, tapestry, jewellery making, quilting, flower arranging knitting, modelling, painting and so on and so forth etc etc. needs. This is marvelous! I wish her well (and believe it or not wish I were there to help) in her endeavour. Oh, and Hippie Birdbaths to her as well. nice.. i have just been down there, and brought some black cotton casue i go through heaps.. i will need to go again cause i need cord stuff with which to fix aprons.. *glee*.. i love the new look its wonderful!! completely distracted by madshutterbug's adorable penguins! Eee!